Welcome home to Briargate on Main, a community of spacious, custom designed apartment homes perfectly located in Parker, Colorado. Its ideal location is tucked away in a residential area yet is in close proximity to restaurants, shopping and major freeways, gives you the best of both worlds. Briargate on Main offers twelve impressive floor plans (with optional upgraded hardwood flooring) each providing you with all the amenities that will make you feel at home and all the comforts and conveniences you have come to expect and deserve. 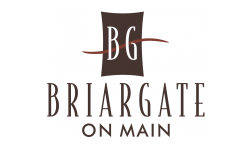 Call us to schedule your personal tour and let us show you why Briargate on Main is the ideal place to call home!